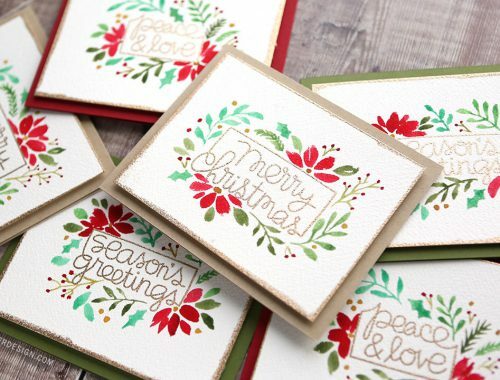 For those who are are new to my blog and videos, the Holiday Card Series consists of 25 holiday card inspiration videos. I’ll be sharing holiday inspiration every Monday, Wednesday, and Friday until November 30. 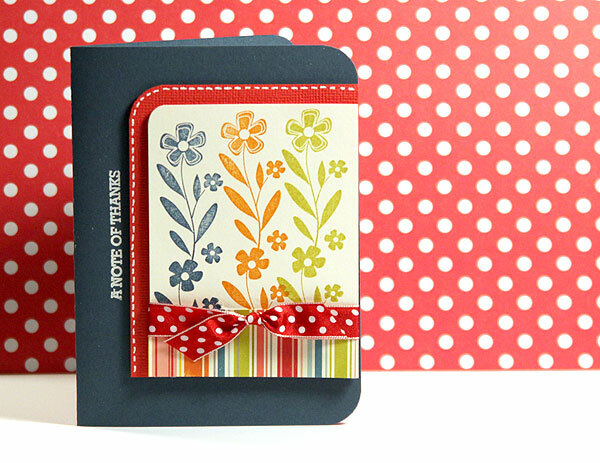 Today’s card features the Deco Borders & Corners stamp set from Simon Says Stamp, which is not a holiday stamp set. First, I stamped one of the large border stamps from the Deco Borders & Corners stamp set onto Schoolhouse Red cardstock. I repeated the border two more time to create a seamless pattern. 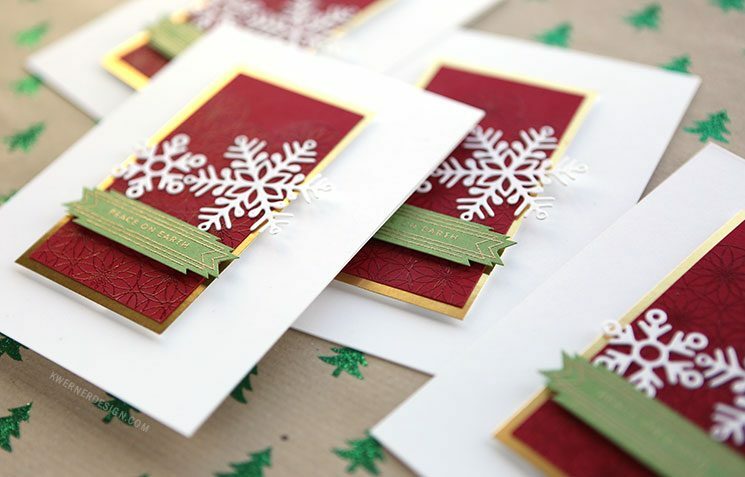 I applied some clear embossing powder to the borders and heat set it until melted. For the greeting, I stamped one of the banner images from Decor Borders & Corners and then filled it with a greeting from Simon’s Tiny Words Christmas stamp set. I embossed the banner using gold embossing powder. 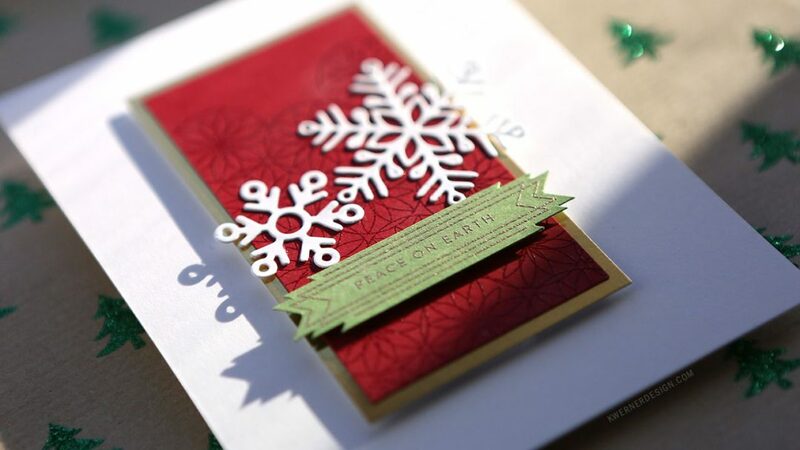 For an added holiday element, I die cut two snowflakes from Simon–the Rina Snowflake and the Ashlynn Snowflake (which is retired, but the Maryanne Snowflake is a similar size). Thanks for stopping by today! I’ll be back on Wednesday with Day 24!